Throughout is history Stewarton has been known for its bonnets, the production of Scottish speciality Dunlop cheese, and for its association with the Burns family. Stewarton had established its reputation as a major player in textiles long before the Industrial Revolution, as it was already a prolific producer of traditional Scottish bonnets in the 1400s. Advancements in technology during the 1800s led to the trade becoming increasingly industrialised, with the introduction of powered knitting machines and the installation of a gas works in the area, which meant weavers could continue working at night with the aid of artificial light. Stewarton had a feature that was completely unique for industrial towns at the time-there were no inns in the town at all up until 1930, as the residents had decided by common consensus to keep the town an alcohol-free zone to increase productivity. Whilst the rest of the village were busy weaving, the uncle of Robert Burns, who died in Stewarton, was helping to guard the church’s graveyard from body snatchers, a practice that was rife in the area at the time. In recognition of this the Stewarton Literary Society established a monument in the town in his honour. Having renounced their sobriety in the early 20th century, there are now several pubs in the Stewarton for local residents to enjoy, but until Hog Roast Stewarton arrived on the scene however, there weren’t many high-quality catering options available for public events and special occasions. All that changed when we introduced the people of Stewarton to our unbeatable hog roasts, freshly-prepared ingredients and sociable dining experiences. 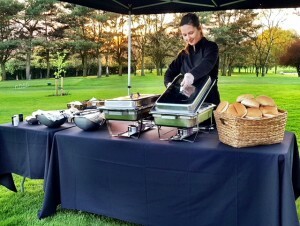 The Hog Roast Stewarton team have firmly established ourselves as the best in the area for providing the finest quality pork and having the expertise to cook it perfectly. 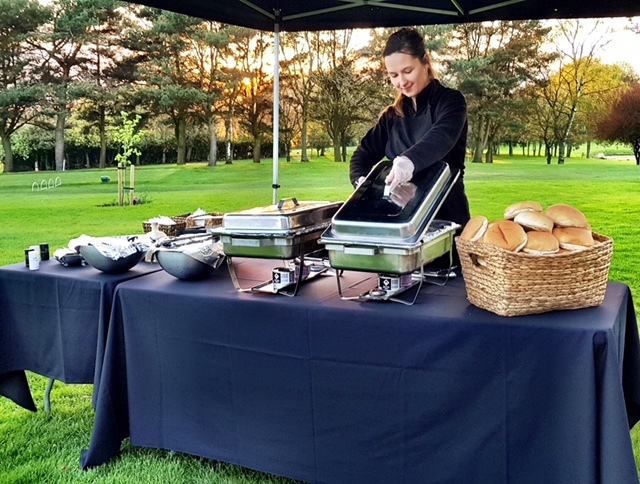 Whether we are catering for weddings, Christenings or birthday parties, our diners can’t enough of our slow-roasted meat and everyone loves gathering around our hog roast machines to watch it cooking on chilly winter nights. Here at Hog Roast Stewarton, we always manage to put a smile on our diners’ faces at every special occasion we cater for when they are treated to our fantastic food, friendly service and welcoming atmosphere.